Goa Chief Minister and former Union defence minister Manohar Parrikar passed away at his private residence at Dona Paula on Sunday evening. He was 63. Parrikar had been suffering from pancreatic cancer for quite a while but his health condition deteriorated on Saturday evening. Earlier in the day, BJP core committee leader Dayanand Mandrekar said the party may soon appoint a new leader to succeed Parrikar. Parrikar, before he became the chief minister of the coastal state and a Union minister, was a metallurgy student at IIT Mumbai. The former RSS pracharak, with strong ties to the parent saffron organisation, was elected to Goa legislative assembly first in 1994, when there were just four BJP members. On the back of an intense campaign against mining which was rampant in the state, he became the chief minister in 2000, where he earned accolades for efficient administration and populist schemes. His tenure ended in February 2002, but came back to power in June 2002. In 2007, however, a resurgent Congress led by Digambar Kamat wrested power in the state. Well known as a political troubleshooter, he was inducted into the cabinet as a defence minister in the Narendra Modi administration. But, after the split election verdict in 2017 in Goa, he returned to his home state, to be sworn in as the chief minister in March 2017. 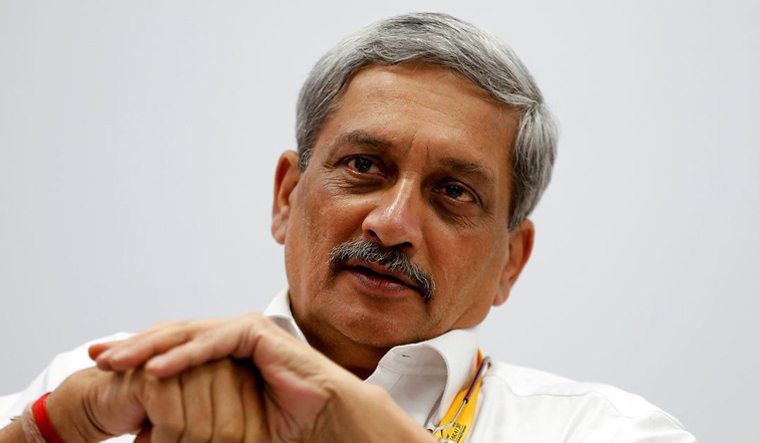 BJP allies like the Goa Forward Party (GFP) and Maharashtrawadi Gomantak Party (MGP) had claimed that Parrikar was the BJP leader they most trusted to hold talks with. On March 17, when Parrikar’s health condition reportedly worsened, ally GFP said they would remain with the government as long as Parrikar was the chief minister. As defence minister, however, his name had become entangled in Rafale corruption allegations. Numerous media reports and opposition leaders, including Congress president Rahul Gandhi, claimed Parrikar had expressed his reservations vis-a-vis the now-controversial fighter jet procurement deal—most significantly in a The Hindu expose where the publication claimed that the defence ministry opposed the PMO undermining it in the Rafale jet negotiations. But, Parrikar had denied them all. Late 2018, however, reports emerged that Parrikar was seriously ill. In the first official confirmation in October 2018, Goa Health Minister Vishwajit Rane said that Chief Minister Manohar Parrikar was suffering from pancreatic cancer and chose to be with his family. He had, however, chosen to remain as the chief minister and even appeared in public view on some occasions. Parrikar is a widower and has two sons.